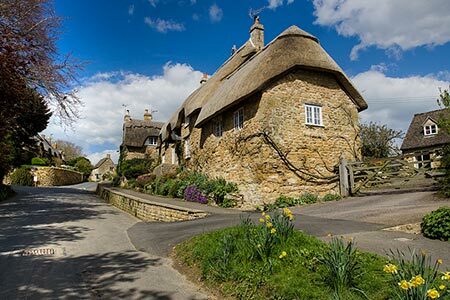 A short circular Cotswolds walk from the pretty Gloucestershire village of Ebrington with its many thatched cottages. The route explores the pleasant countryside lying north of Ebrington to pass Foxcote House. The walk uses paths and tracks. A GPX File is available for download (see walk description).